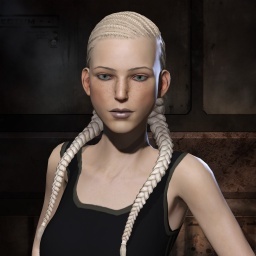 As shown in previous articles found here and here, PVP in lowsec still remains to be a constant part of New Eden even if it doesn’t quite reach the scale of the engagements in nullsec. 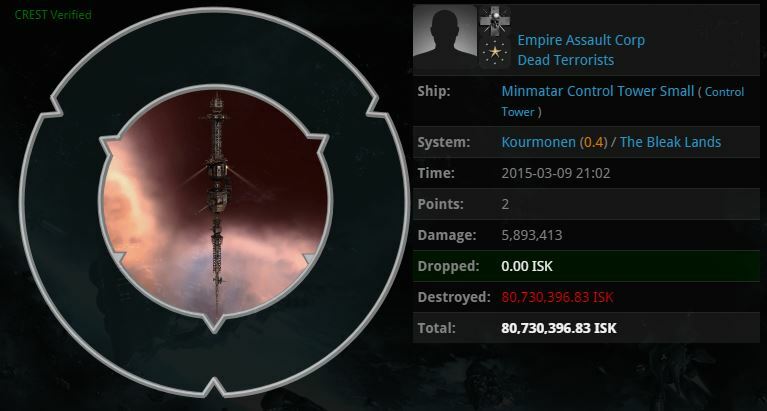 However this fight appears to be one of the largest in the area of recent times with 29 carriers fielded and approximately 35 billion ISK destroyed as explained below. The main parties involved are Dead Terrorists [IKILU] along with allies Already Disbanded [AD] against That Escalated Quickly. [M8WTF] and The Periphery [RIFT] with a variety of other parties involved including Snuffed Out [B B C] who were called in to support the [M8WTF] side for this particular fight. 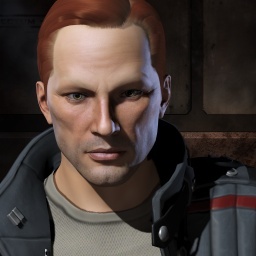 As previously stated the main fight which took place in the system of Kourmonen, a lowsec faction warfare system in The Bleak Lands, resulted in the loss of approximately 35 billion ISK in total so I contacted both sides to determine what caused the hostilities. As explained below by Letelio Denmun of [IKILU] and Annah Kitheran of [RIFT] who are both well known figures in their respective alliances. This engagement commenced over one our R32 moons in Kourmonen that had been put into reinforcement by That Escalated Quickly [M8WTF] and The Periphery [RIFT] the night before. Given that this occurred in our primetime only two jumps away from our home system of Siseide we attempted to engage M8WTF’s T3/Absolution fleet (approx 30) with our own T3 fleet (approx 40) whilst they were actually reinforcing the tower. Nonetheless, the arrival of RIFT’s T3 fleet (around 20) on the side of M8WTF took us by surprise and we had to withdraw, taking noticeable losses in the process. M8WTF and RIFT completed their reinforcing of the tower whilst M8WTF fleet commanders, smug as ever, assured us that we would lose the moon when it came out around the same time the following day and that we had better start ‘bat phoning’ accordingly. It all started on Sunday evening. Everything was pretty quiet and out of the blue I got a convo from hydro9 asking if we fancied helping them set up a fight with Dead Terrorists. Seeing as we had nothing else going on I put out a ping for numbers and got 15 odd bored alliance mates ready to roll and on comp. Hydro picked a small moon in Kourmonen to reinforce to see if we could bait out a response from [IKILU]. He warped his portion of the fleet to the moon and began RFing it. We hadn’t seen much sign of a response before the tower entered reinforced and it was decided to linger on gate for a few minutes to see if anything happened. 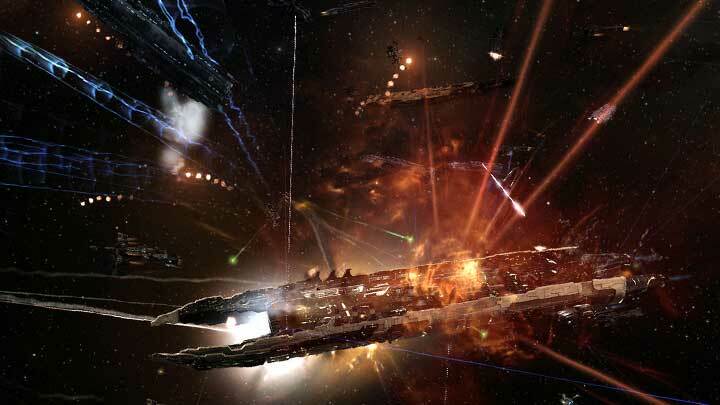 Sure enough Siseide started springing to life and [IKILU] set up on their titan in a T3 fleet (hydro’s fleet were a mix of HACs and T3s with some T1 cruiser flying newbies) which outnumbered the guys on gate in Kourmonen. We decided at this point we were going to blueball the timer as we’d only RFed it for the gf anyhow and we’d been sated. About two hours later we changed our mind. We started prepping our caps for an epic timer fight and we let our pilots know we were coming back for round 2. Clearly even though both of these reports do not entirely add up it does explain the reason for the fight which took place the day later which this article is focussed on. The most noticeable kill of this particular initial engagement, as mentioned by Annah Kithern, was the sole Revelation dropped by [IKILU] as shown, with the full battle report found here. This engagement resulted in a total loss of approximately 13 billion ISK which is just under a third of the following fight. Once again I approached both Letelio and Annah to explain in detail how the engagement progressed as detailed below. The following night, shortly before the POS was due to exit reinforcement it became apparent that [M8WTF] and [RIFT] were forming T3s and Archons on a relatively large scale (we expected their fleet to exceed 50). Excited at the prospect of a large engagement we started forming a T3 fleet of our own, also with the support of a sizeable number of Archons and large enough, we hoped, to face [M8WTF], [RIFT] and whoever else they had invited to the party. Just as the [M8WTF] and [RIFT] sub-capital fleets departed for Kourmonen, where our sub-capitals were already waiting, we got word that the dreaded inhabitants of Sujarento [B B C] were also heading towards Kourmonen with a sizable T3/Guardian fleet of their own (approx 50). Unsure as to whether Snuffed Out were coming in as a genuine third party or had been bat phoned by [M8WTF] we decided to remain on the tower, come what may. That said we did accelerate our plan somewhat by jumping in our Archons early, sacrificing the element of surprise, such that they could be positioned on the shield edge of the friendly tower prior to the engagement. A few minutes after our tower came out of reinforce (around 20:30) [M8WTF], [RIFT] and assorted others, warped their sub-capital fleets into our T3/Archon fleet, positioned just outside the POS shield, and jumped in around half a dozen triage and non-triage Archons. The engagement commenced with the [M8WTF]/[RIFT] fleet losing around a dozen Strategic Cruisers and their first Triage whilst killing relatively little of our fleet. About ten minutes in, however, the [B B C] fleet landed on grid and things began to turn south as it became apparent that they were indeed on the side of [M8WTF]/[RIFT]. With our Archons already under substantial Neuting & EWAR pressure, the extra DPS of the [B B C] fleet took effect and we began to lose our own T3s, and one carrier, in quick succession. At this point it became apparent that the fight was un-winnable, however, we decided to stick at it for a few minutes insofar as we were still breaking enemy Strategic Cruisers and Guardians, even if we were losing them at a slightly faster rate. A few minutes and a dozen loses later on each side, it seemed as if our second triage was all but exhausted and the enemy ships were beginning to withstand our diminished DPS. At this point the call was given for our entire fleet to make its way back inside the temporary haven of the POS shield before promptly jumping/warping to safety. Unfortunately two more brave Carriers never made it which, coupled with the two downed triage, added to our overall losses substantially. Monday evening came around and we formed up the fleet, [RIFT] had a mad scramble for pantheon pilots in the ranks and successfully scraped enough together. 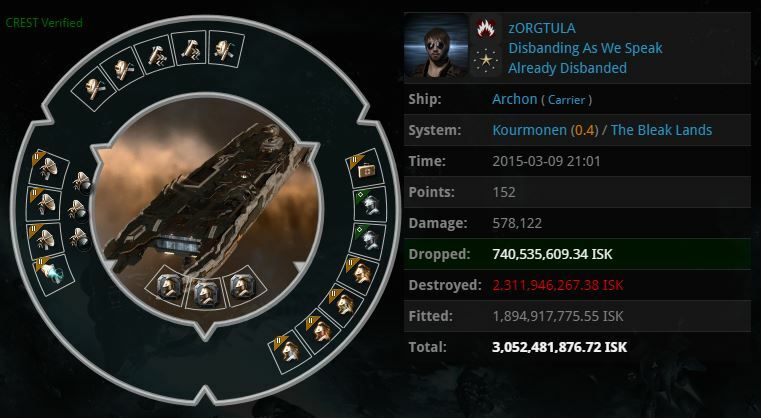 The timer came round and [IKILU] undocked 23 archons and approximately 50 T3s. We had approximately 60 in fleet with only 9 capitals between us. After a lot of careful consideration we elected to move to go all in and (in true Kitheran style) I forgot to bring a cyno ship in the [RIFT] fleet which delayed us a few minutes. All things corrected we warped in on the POS in the subcaps, lit cyno and went all in. After that it got a touch dicey. Our reps were heavily damped and unable to lock many of the broadcasts and our pantheon simply couldn’t lock fast enough to counteract the incoming dps. We held field as well as we could and waited for our support to arrive from Black Rise hoping it would turn the tide. Our first triage went down and the lossmails accelerated, shortly after however [B B C] landed on field and with our dps on the [IKILU] triage carriers and theirs on the hostile subcaps the tide swung very quickly. [IKILU] elected to duck back into the shield with their 19 surviving capitals and the remainder of the T3s. An attempt was made to burn the tower down before they could escape but they spotted the move and bailed their fleet with the POS tower dipping into low armour. We finished off the carriers held outside the shields and then mopped up and went home. Both parties clearly followed the same style of fleet composition with the strategic cruiser being the ship of choice with Archons, both triage and pantheon fit, in support. However, one brought larger Archon numbers and less sub capital ships in response to the greater sub capital numbers and less Archon support. 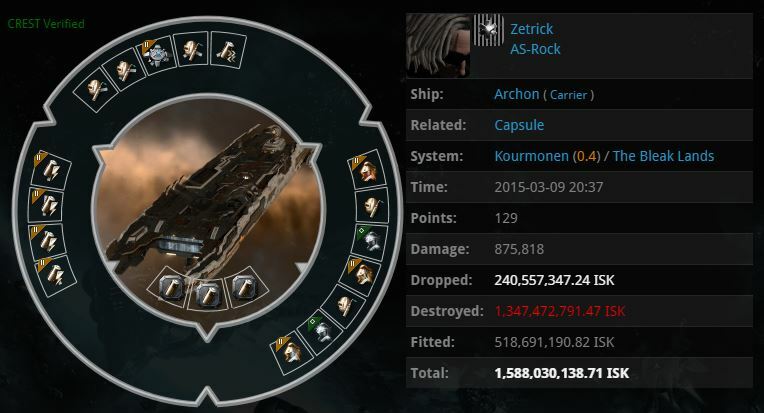 The T3 fleet comp was also used by [B B C] showing it’s common nature in the lowsec PVP arena. In comparison the currently go-to fleet comp of nullsec warfare is the Ishtar which is highly versatile but better used in greater numbers compared to the larger tank and more committal armor fleet. 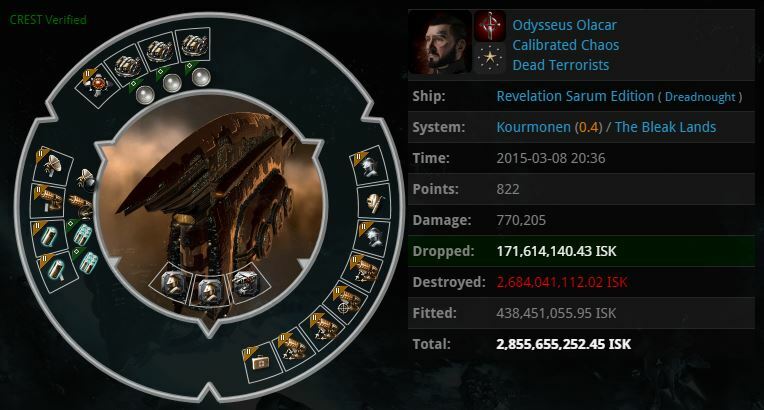 Initial triage Archon lost by [M8WTF] and allies. Final carrier lost by [IKILU] and allies. Destruction of the [IKILU] POS where the hostilities began. It looks like both sides enjoyed the fight even though the bulk of the losses were to the [IKILU] side I imagine there will be further engagements in the future in an attempt to swing it the other way. It also clearly shows that not all fights in the lowsec arena are either simply a super gank or a low ISK value brawl. Thanks to both of the above for submitting their individual reports. Video posted in the comment section below. Leave a Reply to payday loans Click here to cancel reply.